Did you ever consider that your words could make a real impact on others and make you money? 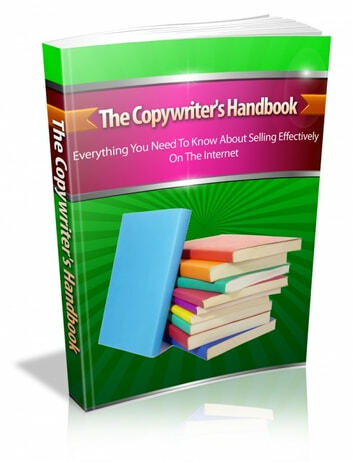 They can – through the art of copywriting. You might not have ever thought you could make money writing, but it’s a proven fact that genuinely compelling copy is essential to any successful, effective marketing campaign. Grab your readers’ attention right away and keep it. Appeal to your readers’ emotions while convincing them they can’t do without your product or service. Motivate your readers to action – don’t let them leave your blog, close your email, or click away from your website without responding to your sales copy. Anticipate your readers’ concerns and address them up front, so they can’t think of a good reason not to buy what you’re selling. Avoid common (and potentially costly) mistakes when developing sales copy. 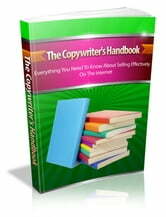 In “The Copywriter’s Handbook,” you’ll also receive dozens of starter copy samples, or “swipe files,” to help you build an amazingly persuasive case to your customers that they can’t do without what you have to offer! Add this important resource to your arsenal of sales tools today!